As an artist, art historian, curator and exhibition producer, Satri has been involved in art all her life. Areas of special interest include art as it intersects with science, social issues, and multiple disciplines. Satri Pencak is an independent curator and writes art reviews and essays for two blogs. Prior to developing her business as an independent curator, Satri Pencak served as Director of Exhibitions at Sebastopol Center for the Arts from 2000 to 2011. During that time she managed the exhibitions programs which included juried, curated and invitational exhibitions, featuring the work of regional, California, and national artists. The exhibitions were often augmented with lectures, panel discussions, workshops, and interdisciplinary events. Select exhibition highlights include; Circles, Clouds, Magma & Waves—work by Ned Kahn (2004); Giri: Celebrating Japanese Style, Tradition and Culture (2005); Particles in Motion (2006); Beyond Pond Farm—The Legacy of Marguerite Wildenhain (2007); Alchemy of ReUse—the Art of the ReCycled, ReUsed, ReImagined (2008); Vortex—Art, Matter & Motion (2008); Classic Art of Stanley Mouse (2010); Form & Finish: Sculptures by Michael Cooper & John de Marchi; Petaluma Arts Center (2014); Sym.bi.osis: Art & Science Intersect, Santa Rosa Junior College, Art Gallery (2014); Cast, Forged & Welded: MetalWorks; Petaluma Arts Center, (2016) . MA 1986 Art History; San Francisco State University, San Francisco, CA. Area of specialization: Contemporary Art. BA 1976 Art History, Sonoma State University, Rohnert Park, CA. BA 1976 Studio Art, Sonoma State University, Rohnert Park, CA. BA 1976 Psychology, Sonoma State University, Rohnert Park, CA. 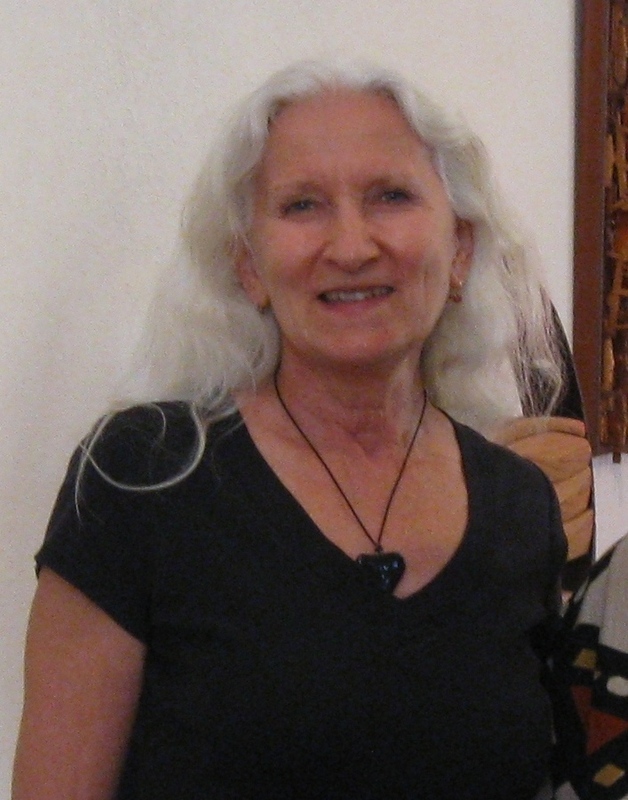 2014 – Present Visual Arts blog writer for Sonoma County Tourism website. 2011 – Present Independent curator and writer of art reviews and commentary for three blogs. 2000 – 2011 Director of Exhibitions, Sebastopol Center for the Arts, Sebastopol, CA. Planned, directed and managed a schedule of 14 annual exhibitions in two galleries. Conceived, planned and produced ancillary events such as lectures, panel discussions, demonstrations, tours, and workshops, managed the program budget and did fundraising for specific program needs. 1997 – Present Art Editor; design and layout for Somatics magazine, Novato Institute. 1995 – 2000 Associate Editor; copy writing, editing, and design for Odyssey Travel Magazine. 1989 – 1995 Instructor of Art History, Sonoma State University, Santa Rosa Junior College, CA. Taught Ancient to Modern survey courses, and specific contemporary art topics. 1986 – 1989 Freelance Writer; Art Reviews for the West County Paper, Santa Rosa, CA. 1974 – 1980 Director of Slide Library, Art Department, Sonoma State University, CA. Developed and managed a collection of over 50,000 slides. 2016 Cast, Forged & Welded: MetalWorks; Petaluma Arts Center, CA. 2014 Presence: A Group Show; C14 Contemporary Arts, Sebastopol, CA. 2014 Form & Finish: Sculptures by Michael Cooper & John de Marchi; Petaluma Arts Center. 2013 Bob Nugent: Dialogues with Nature, Art Works Downtown, San Rafael, CA. 2013 On The Edge: Work by Bernadette Howard, RiskPress Gallery, Sebastopol, CA. 2011 Transition Style—Art! A project of sustainability and community resilience. 2010 Classic Rock Art of Stanley Mouse; Sebastopol Center for the Arts, CA. 2008 Alchemy of ReUse—the Art of the ReCycled, ReUsed, ReImagined. 2008 Vortex—Art, Matter & Motion. Art, science and technology. 2007 Beyond Pond Farm—The Legacy of Marguerite Wildenhain. 2006 Particles in Motion. Art, science and technology. 2005 Giri: Celebrating Japanese Style, Tradition and Culture. Traveled to Gualala Art Center. 2004 Circles, Clouds, Magma & Waves—work by Ned Kahn. Art, science and technology. 2016 Speaker for Sonoma County Forum, Santa Rosa, CA. 2015 Live interview host for Christie Marks Fine Art Gallery, Santa Rosa, CA. 2014–Present Collections Committee member for Sonoma County Museum. 2014 Panel discussion moderator for Studio: 50 Sonoma County Artists, Sonoma County Museum, and for Seventeen, Hammerfriar Gallery, Healdsburg. 2011 Roundtable participant and Art Advisor for Ignite! exhibition, Exhibit Envoy. 2010 Planning committee; Bibliophoria; multi-venue Book Arts event. 2007 Panel discussion participant, Curator’s Choice, Santa Rosa, CA. 2005 Committee member for Sculpture Sonoma, county-wide, multi-venue art event. 2005 TV50, interview for Giri Project. 2004 Panelist for County Art Needs Assessment, Sonoma County Art Council. 2001 Planning task force,Christo’s Running Fence @ 25, multi-venue exhibition. 2016 Juror for Masks, Puppets & Games; Healdsburg Center for the Arts, CA. 2015 Juror for Transitions; Marin Community Foundation, CA. 2013, 2012, 2007 Art Trails Open Studios selection committee, Sonoma County Art Council. 2008 Judge for Windsor Art Council Annual Exhibition. 2006 Emerging Artists Award, selection committee, Sonoma County Art Council. 2011 – Present Regular writing and postings of art reviews, criticism, and essays for www.satripencak.com, Visual Arts blog writer for Sonoma County Tourism website, and Satri’s Best Bets in the Visual Arts Page on Facebook. 2011 – 2014 Weekly audio blog art writer and commentator for SonomaArts.com. 2008 Vortex—Art, Matter & Motion; exhibition brochure essay, Sebastopol Center for the Arts. 2007 Beyond Pond Farm—The Legacy of Marguerite Wildenhain; exhibition brochure essay, Sebastopol Center for the Arts. Strong knowledge base of contemporary art, art history, museum standards and best practices. Research and writing for grants and proposals. Writing for art reviews, criticism, essays, audio scripts, newsletters, and press releases. Program development for lectures, panel discussions, workshops, etc. Basic office and computer skills include, graphic design, InDesign, photography, Photoshop, Internet research, social media, WordPress, Web and blog development and maintenance. English, Polish; (speaking and reading). German, French, Spanish, Italian; (reading). Cultural Tour Leader; planned, organized and lead group tours to art galleries, museums and other cultural events in California and Oregon.